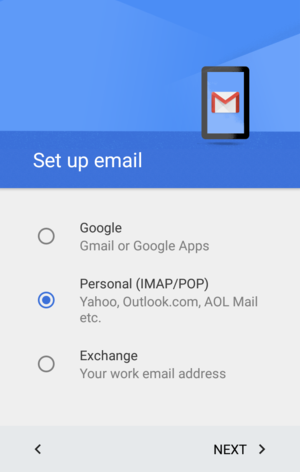 Setting up your android device for your new mail account requires just a few simple steps. 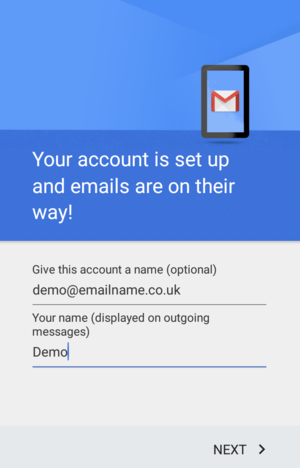 On the android device open the gmail app, select Add Account from the menu. 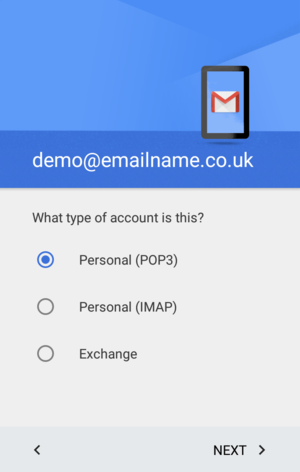 Select Personal (IMAP/POP), then click Next. 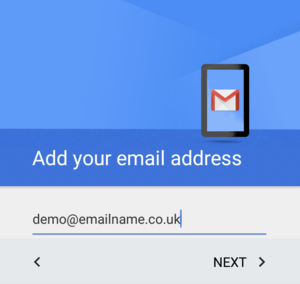 Enter the email address, then click Next. Select Personal POP3, then click Next. Enter the password, then click Next. 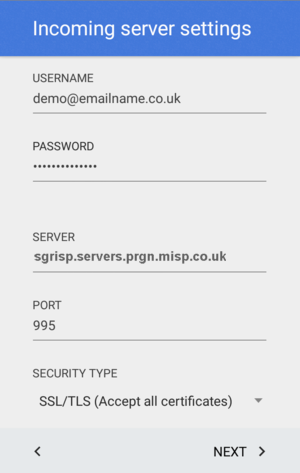 On the Incoming server settings, enter server name sgrisp.servers.prgn.misp.co.uk, select security type of SSL (Accept all certificates), and port number 995 and click Next. 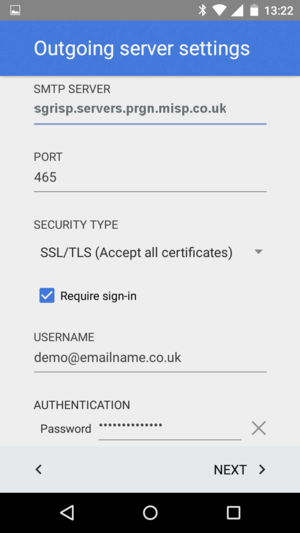 On the Outgoing server settings, enter server name sgrisp.servers.prgn.misp.co.uk, select security type of SSL (Accept all certificates) and port number 465 and click Next. 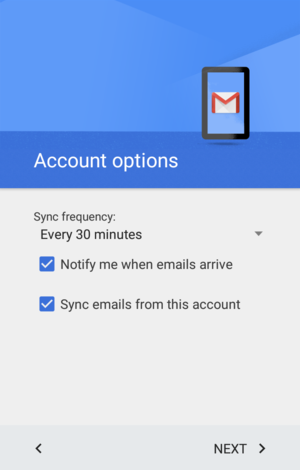 Select how often you want your device to check for mail, then click Next. 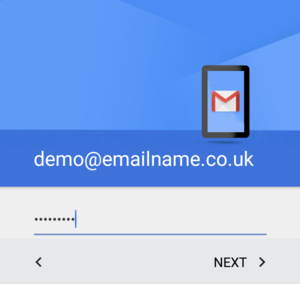 Enter a name for this mail account, and your name as you want it to appear on messages you send, then click Next.